Unlike dementia, delirium is not a permanent condition, and can be treated–most successfully by dealing early on with the initial cause. 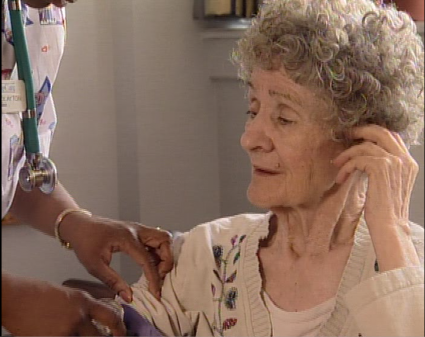 T he video looks at the significance of staff members being able to recognize the signs, symptoms, and causes of delirium as a proactive step in reducing episodes of delirium in the long-term care setting. I t also identifies the differences between depression, dementia, and delirium. T he video also discusses ways to identify residents most at risk by looking at factors such as age, gender, pain, medical changes, psycho-social changes and environmental changes. Caregivers will learn how much their awareness, documentation, and sharing of information about sudden and/or noticeable changes can greatly affect a residents immediate and long-term health and quality of life. This is tape 2 in a 3 tape series. This series, presented by Dr. Georgia Stevens, encourages a team approach to MDS criteria in the daily assessment of residents. It covers the signs, causes, effects, and treatment consideration of delirium. It also stresses early, preventive response to symptoms, crucial sharing of information between the staff and family members, and gives ways to decrease episodes of delirium.